To say February was eventful would be a slight understatement after the whirlwind that was Hall of Fame week. Fernando, along with some of the Stickman crew, packed their bags and flew across the country for a week long celebration at Full Sail University in Florida. 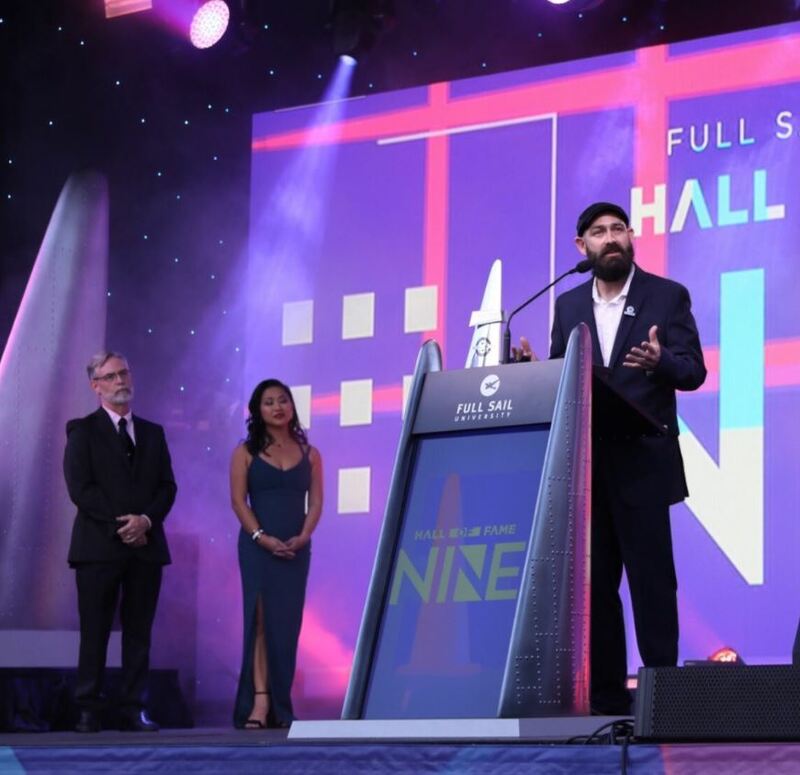 Fernando had the honor of being inducted into this years Hall of Fame where he was recognized for his outstanding contributions to the world of entertainment, media, and the arts. Hall of Fame features panels, workshops, meet and greets, along with other amazing educational opportunities for Full Sail students. Fernando was BUSY, as most are once they cross the threshold of HOF super stardom. Fernando and other inductees led a variety of different workshops and held discussions that were broadcast live on YouTube and recorded. We will be posting those discussions in our newsletters and on our website. To top off an exciting week Fernando worked with branding specialist Phil Pallen where he was re-branded. Fernando is set to launch a new website focusing on audio consultations. Whether you are a seasoned producer, a new producer, or someone playing producer, Fernando will be able to help make your life easier. Stickman is also working on putting together some helpful hints for sound. Small things to look for if you’re new or maybe a refreshing reminder if you’ve been doing your thing for awhile. We will be posting on the website and there will be 1 page PDFs that you can download and save for later. If there’s anything you’d like us to touch on, send us a note and we will tackle it with enthusiasm! The Nevada Women’s Film Festival is happening this month! It’s finally here. They have been posting some of the submissions on their Facebook and it’s worth checking out. For more information, please visit http://nwffest.com and check out the schedule. We will see you at the Eclipse Theater March 22nd - 25th! March means we are entering the end of the regular season for the NHL. The Vegas Golden Knights are holding strong at the top of the Pacific Division (even after losing those 2 game to the Kings...blech). Reaves and Tatar were picked up at the trade deadline and they are already making their names known. The guys are off on a another road trip after tonight’s game, but they will be back by the middle of the month. Gives us a chance to rest our voices before the end of season push! THE UCR 411A RECEIVER PROVIDES PROFESSIONAL PERFORMANCE AND A VERSATILE FEATURE SET IN A COMPACT DESIGN FOR FIELD AND LOCATION PRODUCTION. ALL SETTINGS ARE MADE FROM THE FRONT PANEL WITH A POWERFUL LCD INTERFACE, MAKING THE UNIT IDEAL FOR USE IN QUAD PAKS, ON SOUND CARTS, IN PORTABLE BAGS AND IN RACK MOUNT MULTI-COUPLERS. TO ALLEVIATE INTERFERENCE PROBLEMS IN AN INCREASINGLY CONGESTED RF SPECTRUM, AN RF SPECTRUM ANALYZER IS BUILT INTO THE RECEIVER. THE RECEIVER TUNES ACROSS ITS 25.6 MHZ TUNING RANGE AND RECORDS RF ACTIVITY WITH MARKERS ON THE LCD SCREEN. FINDING CLEAR OPERATING FREQUENCIES IS A QUICK, SIMPLE PROCESS. 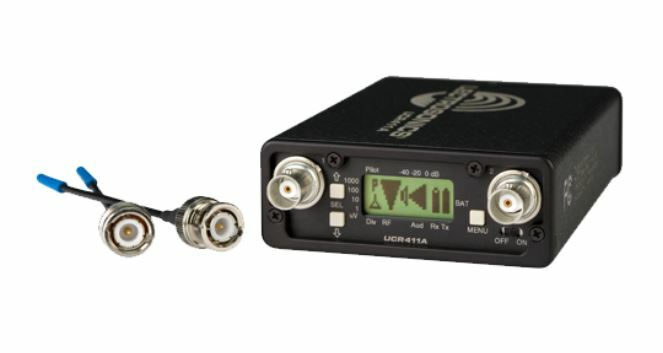 THE UCR411A IS COMPATIBLE WITH ALL 400 SERIES LECTROSONICS WIRELESS TRANSMITTERS (AND SOME OTHER TRANSMITTER TYPES) AND CAN BE POWERED WITH INTERNAL 9V BATTERIES OR EXTERNAL DC.